Some of us are sending kids off to college, some are sending them off to jobs. And some of us are beginning our own new adventures. School and jobs are scorekeeping places, but growing up is about knowing when to measure and when to just live. When my two daughters walked off the graduation stage and then out from under my roof, real life started. I hope they realize that growing up means measuring things differently. Coming of age means saying good-bye to feedback for all the work you do. You won’t get counted for attendance or get extra credit for neatness. But showing up neatly will be the least that is expected. You will not know how you’re doing compared to others or how many points you need to pass. You will not know your place on the curve, and it won’t matter anyway. Don’t worry, you’ll get used to it. To get us through the swings and misses of growing up, we sometimes comfort one another with assurances that certain things don’t really matter. The truth is, it all counts – the good and the bad and the barely visible. It counts how we treat people we’ll never see again and how we treat people we see every day. It counts how much we try, how much we lie, and how much we rationalize by saying it doesn’t count. It all goes into the layered, luminous masterpieces of the people we are. It doesn’t make us good or evil or stupid, but it does count. Don’t keep score in friendships, families or romance. It doesn’t work. Scorekeeping has its place. And yes, the numbers can be important now. But we know they won’t be forever. Let’s hope one of the things we all learn in school is that life is more than keeping score. 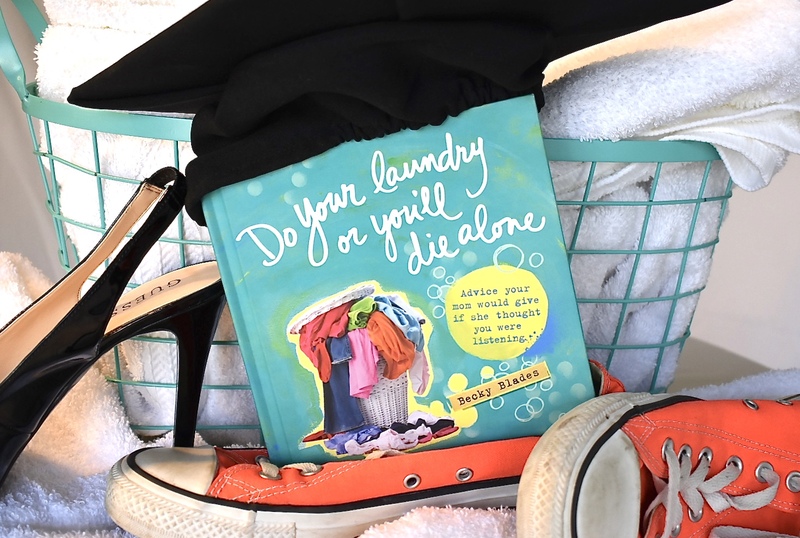 Portions of this article are excerpted from Do Your Laundry or You’ll Die Alone: Advice Your Mom Would Give if She Thought You Were Listening. Get the book here. #3 yes, yes, YES! Too many people keep score and have “pay backs”!! This is such great advice! The teens of today have it so much harder than we did in our day. Coming of age means saying goodbye to feedback for all the work you do. Boy. I wish I had that emblazoned on my wall for some of the couples I see to remember. They often play the “who’s working harder in the relationship game?” and constantly bicker about not getting credit for all that they do. It sounds very immature frequently. I know they are often just tired. And they do need to show more gratitude to one another. But you are so right on target. Maturity means you do things right because it has intrinsic value to you. I will try to keep that in mind today. Thank you Becky. What a validating message coming from a professional, Dr. Margaret. Indeed, the things we tell our kids are just the things we need to remind ourselves . . . especially when we’re tired. Great points. Adulthood can be very difficult for some because where is the grade, where is the celebration, the complements? Most often life is just doing a job well and being a good person to your own standards without accolades. I love that “everything counts”… that is such a big lesson more parents should teach their kids.